DC Councilmember Jack Evan's wedding. Judes Stellingwerf and Dan DeBaere getting married after meeting in Iraq. 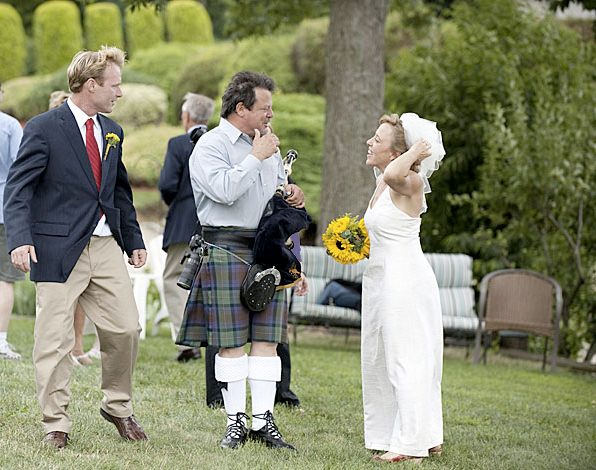 Tim Carey has played weddings in venues such as Mount Vernon, Virgina and The National Cathedral in Washington, D.C.
"We cannot thank Tim Carey enough!! He was there early, was completely professional, executed perfectly what was asked of him and his talent is unbelieveable. He had everyone in tears at the end of the wedding because his performance was so moving! 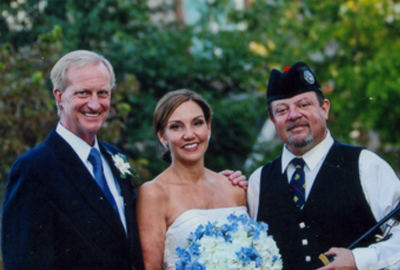 He made our daughter's wedding ceremony so special and memorable and we will never forget him. " 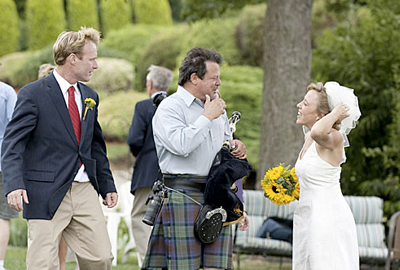 "Tim Carey is an amazing bagpipe player. 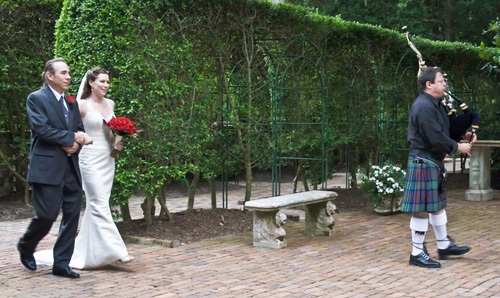 The depth of emotion his music achieves really enhanced our wedding excitement. I would highly recommend him to any of my friends and family for any type of event. We are so glad we found him. His music and talent really established the powerful and fun mood for our wedding. THANK YOU SO MUCH TIM!!!" 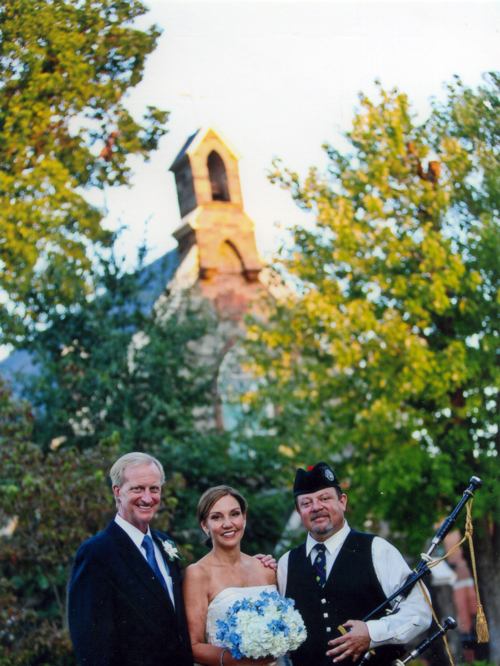 "We used Gig Master to find a local bag piper for our Fall October wedding, we chose Tim Carey and couldn't have been more pleased with the experience and his level of professionalism and talent. We exchanged a few emails, asked questions, and had a plan for music and schedule and a back up plan (luckily). I only say luckily because who could've predicted snow in October in DC. Tim didn't miss a beat; he was on time, friendly and play beautiful music that our guests are still raving about! I would recommend Tim for any event and I will keep him in mind for any event I may have in the future. He will be our 1st and ONLY choice! Jamie and Dwayne Coleman"